North Carolina State University’s Park Scholarships Class of 2018 presented the 19th annual William C. Friday Award to Amy Gage Wright on Wednesday, January 31 at 5:30 pm in NC State’s Talley Student Union Mountains Ballroom. 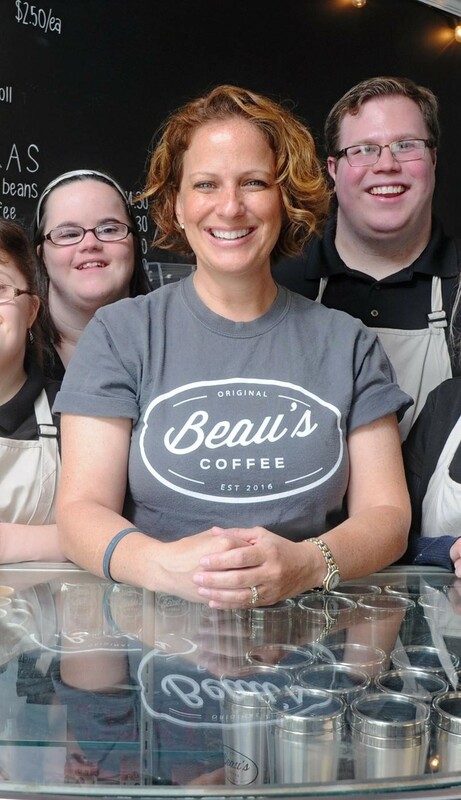 Ms. Wright is the Founder and CEO of Bitty & Beau’s Coffee, an award-winning coffee shop in Wilmington, NC that employs over 40 intellectually disabled people. The William C. Friday Award, established in 2000, is named in honor of the late Mr. Friday, who served as president of the UNC system from 1956 to 1986. It is presented to individuals that carry on Mr. Friday’s dedication to leadership, scholarship, service, and character. The recipient of the William C. Friday Award is selected by the senior class of Park Scholars each year. Until his death in 2012, Friday himself provided input on the students’ nominees for the award. The Class of 2018 selected Wright for her commitment to service, entrepreneurship, and leadership as an advocate for people with intellectual and developmental disabilities (IDD). Wright founded the non-profit organization ABLE to Work USA, which owns Bitty & Beau’s Coffee. 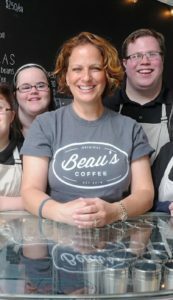 She was inspired to start the coffee shop after discovering that 70 percent of adults with IDD are unemployed. She named the shop after her youngest children, who have Down syndrome. In the two years since it opened in Wilmington, N.C., Bitty & Beau’s Coffee has received the Coastal Entrepreneur of the Year and Trillium’s Transforming Lives Award. The venture has transformed the lives of its employees and customers, and expanded to Charleston, S.C. in early 2018. Wright holds a bachelor’s degree in musical theatre from the University of Cincinnati’s College-Conservatory of Music. She previously taught musical theater to young people through her own studio called “On Broadway”. Today, she continues to use her artistic talents by working collaboratively with the Special Olympics and Best Buddies International as a writer, songwriter, and producer of music videos that promote their platforms. For her vision in many endeavors, Ms. Wright was named 2017 CNN Hero of the Year. Past recipients of the William C. Friday Award also include NC State Chancellor Emeritus Larry Monteith, General Hugh Shelton, noted historian John Hope Franklin, Special Olympics of North Carolina CEO and President Keith Fishburne, Ambassador James A. Joseph, Red Hat CEO Jim Whitehurst, behavioral economist Dan Ariely, CORRAL Riding Academy Founder and President Joy Currey, and former UNC System President Tom Ross.